When it comes to coordinating movement, there is no tool more useful than GPS. Global positioning system technology has been a benefit to both the commanding officers of the military, stranded commuters, and manufacturers of cell-phone games. However, there are some problems with those units. For commuters and city users, GPS signals often have a hard time working in congested downtown areas full of tall buildings. 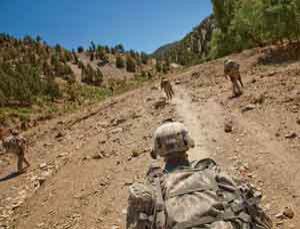 For military users, GPS units are often really fragile and break under combat conditions. However, you might be able to use motion sensing technology as a stopgap fix to the GPS problem. UK satellite company Tessella is working on a way to use motion sensors, like the kind found in the Nintendo Wii’s Wiimote, to fill in the gaps where GPS can’t reach. The company is developing algorithms to triangulate a person’s position relative to a certain point, say, where their GPS unit lost coverage or died. It’s being field-tested by the military as we speak, and the company hopes to have it perfected within the next six months. Isn’t it strange that, as technology advances, they’re still working off the same old traditions that have held true for thousands of years? Sailors have used this manner of triangulation to determine position forever. They used the North Star and a sextant to travel; we’re using last-known GPS coordinates and a chronometer. The technology may change, and Bob Dylan might be giving you the directions, but the methodology is tried and true.